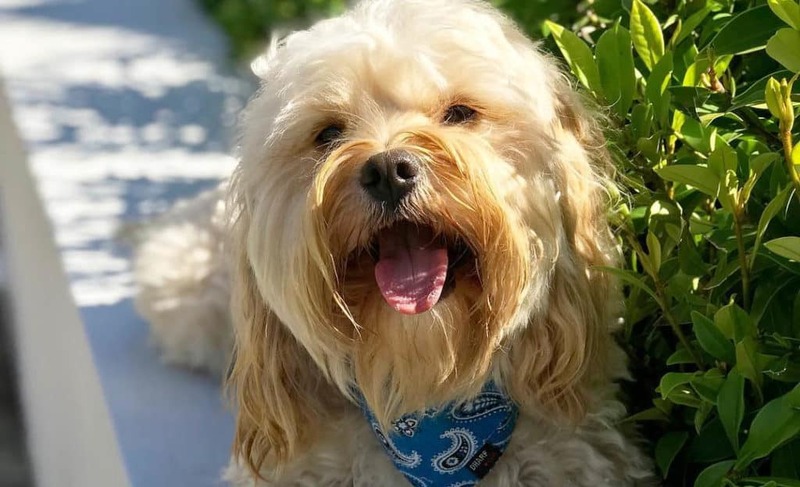 Cavoodle is a sweet lovable companion who adores attention. He is a descendant of purebred parents that were once considered royalty dogs. So he might show some superiority in his mannerism but he will never look down on his owner. Cavoodle dogs are also known as Cavapoo. They are tiny little fellows with lots of energy in them. They are a bit high maintenance especially when they are pups. Nevertheless, the extra care pays off with all the affection they show you when they become adults. 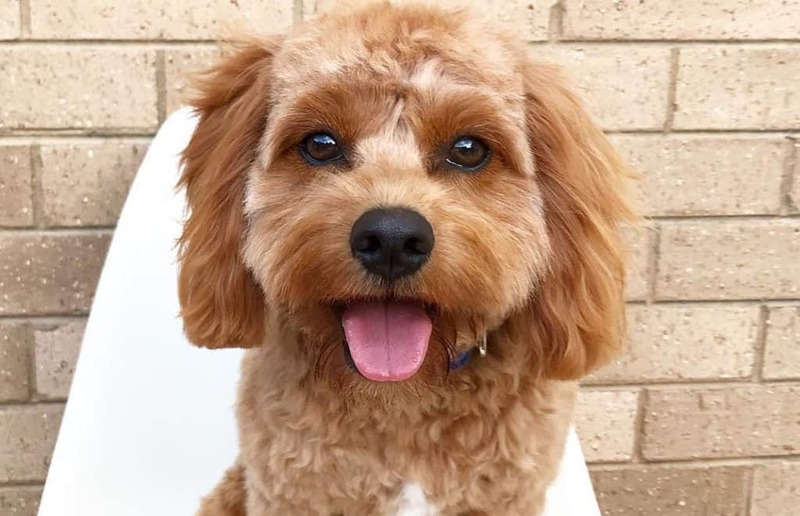 Cavoodle is a descendant of the King Charles Spaniel and the Miniature Poodle. There are various types of poodles, but the Toy or Miniature poodle was specifically bred for companionship. Its tiny body and highly intelligent mind made it a favorite among royalties and the wealthy. The King Charles Spaniel is a rare but famous dog. It is a toy dog as well that became famous during the era of King Charles I and King Charles II. History has it that the King Charles Spaniel was so rapidly bred that it lost most of its authentic qualities. When Charles I became King, he specifically searched for a purebred toy spaniel and started breeding them. The King Charles Spaniel became famous again and even earned a spot in one of King Charles’ paintings by the artist Van Dyck. So it goes without saying that Cavapoo is a royalty dog, and you will see it in his decorum. He is all shades of cute in his small body filled with fluffy hairs. He has large brown eyes with an innocence that warms you up. But do not let his calmness full you, he can easily bounce around with energy if well motivated. He inherits the King Charles Spaniel’s medium muzzle and long droopy ears. 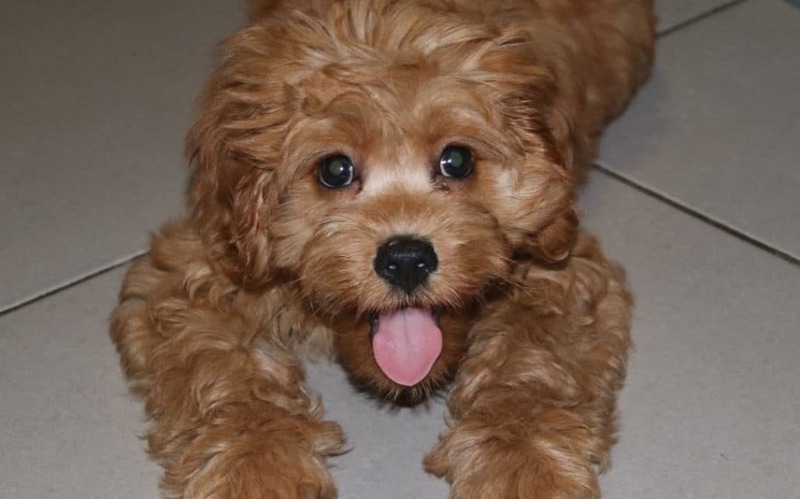 Cavapoo pups will have a uni-colored, double-colored, or tri-colored coat. His fur coat may be a rich red, apricot, gold, cream, white, or tan.He can also be red and white or a blend of brown, white, and black. Normally, if he has more than one color, the remaining hues are represented as highlights on his chin, nose, neck, paws, or back. 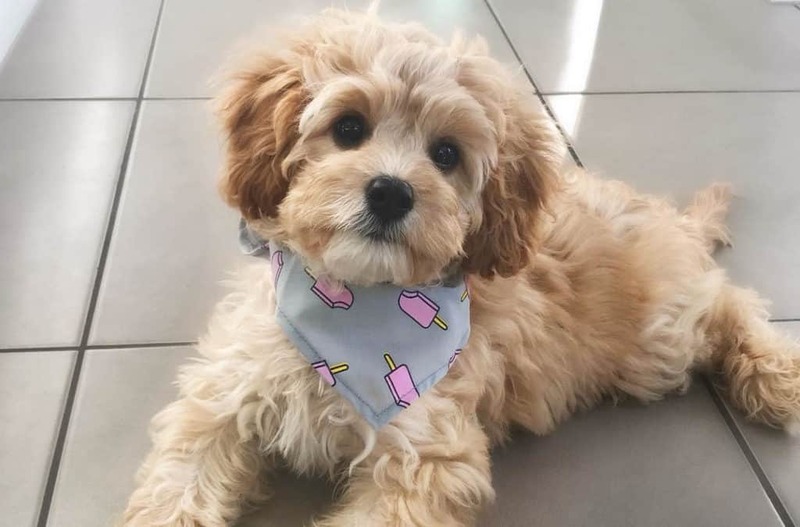 Cavapoo have a well-proportioned body with strong front and hind limbs. He needs a strong physique for all his crazy escapades. 3. 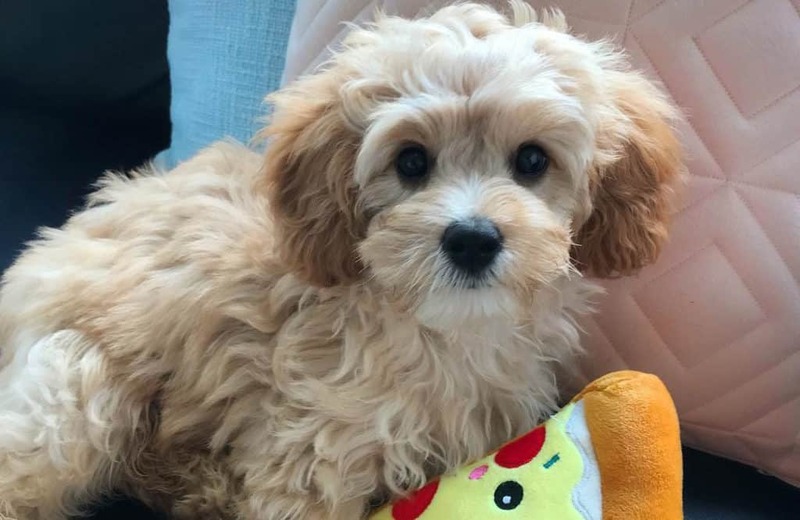 Cavapoo’s height falls between 12 inches and 13 inches. Weight can vary a lot and will depend on the type of food he is fed, how much he is fed, and the amount of exercise he gets. But generally, his weight should fall in the 12 lb-25 lb range. The environment he is socialized in also plays a big role in shaping up his persona. The best way to know his temperament is by observing his parents. 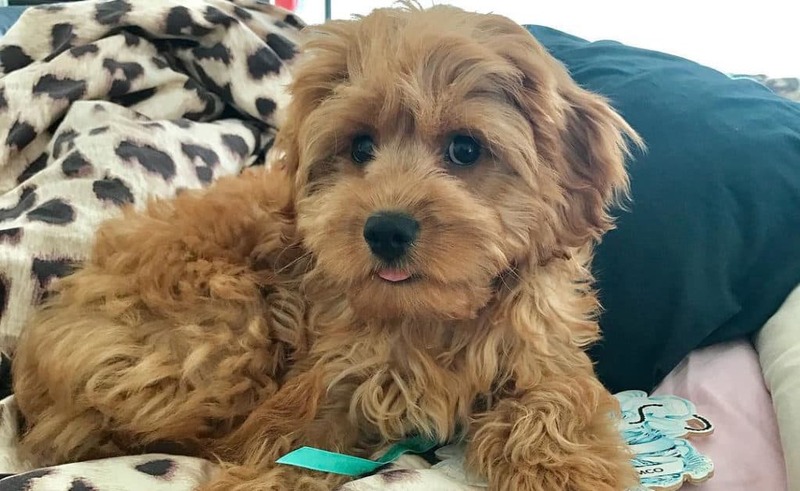 Ask the Cavapoo breeder to let you meet his parents before you take home the pup. A properly bred Charles Spaniel Poodle Mix Dog will be lively and very affectionate to his owner. He is not aggressive in nature unless he is born of really aggressive parents. He loves to be with his owner and accompany them wherever they go. Which also explains how he can easily develop anxiety if he gets too lonely. 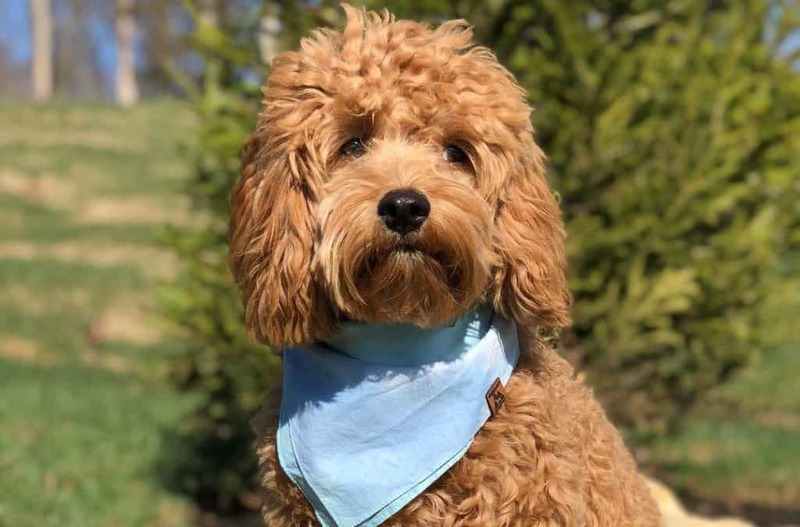 Cavapoo is one of the few pedigree dogs that can bond with children of any age. He will make an excellent play buddy for your kids as he runs after them or with them in your backyard. He is well suited for the elderly as well or the couple who just moved to their first home. One thing you have to watch out for is his incessant barking. Cavoodle pups love to bark which is great if they are alerting you to an intruder. However, it can easily become an annoying habit if left unchecked. 6. 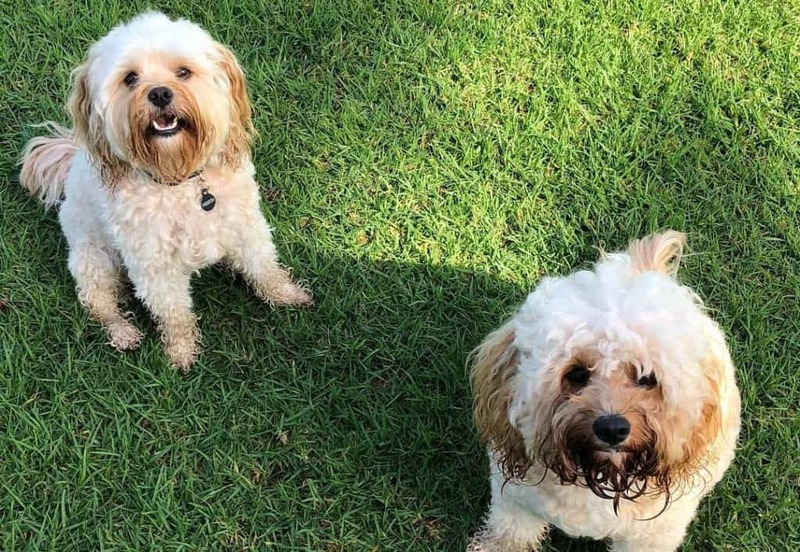 Cavapoo dogs are downright intelligent. He is a quick learner especially when you teach him through socialization and constant human interaction. 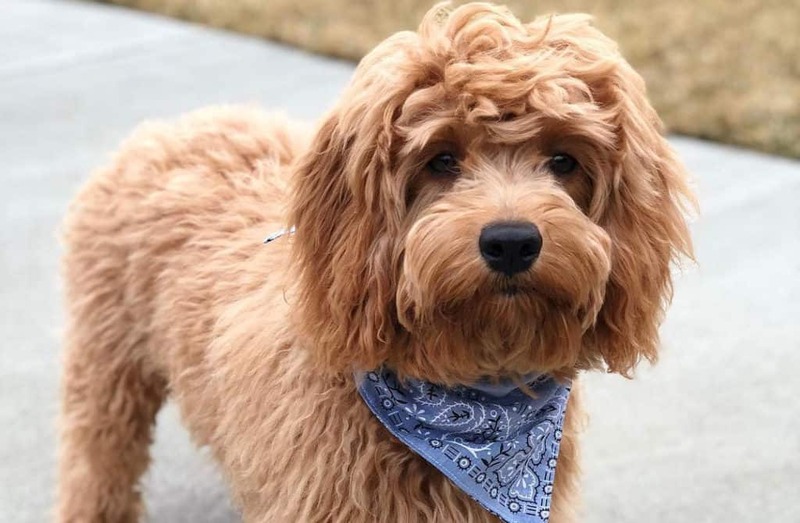 If he is a lot like his parent the poodle, then expect some mild resistant when training. Cavoodle is one of the few pedigree pups you will enjoy training. He responds positively to instructions whether it is done professionally or in the comfort of your home. Have a bag of doggy treats nearby and plenty of affirmation words to encourage him during lessons. Start socializing him to new people and sites while he is a puppy. It will add to his excitement and even motivate him to look forward to training sessions. As he becomes older, it is safe to cut down on training sessions. 8. 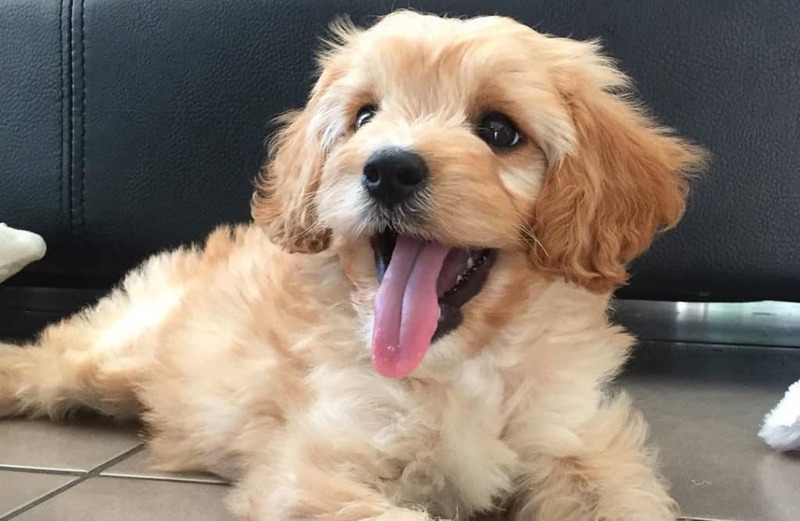 Cavoodle dogs are naturally energetic and lively. He needs plenty of exercises to keep him fit and for his mental well being. He is happy to tag along on walks or jogs in the park. But make sure you have him on a leash especially if you cannot keep up with his pace. Get him a squeaky toy to bite and run around with while indoors. He will also love playing fetch with a ball or Frisbee if you teach him this trick early. Ensure you get him outside as often as you can. He loves to explore rabbit holes, sniff at things and meet new pets in the park. 9. Cavapoo needs a premium diet rich in dry kibble. He has tiny teeth that needs to be strengthened by chewing on dry food. Be careful feeding him other foods that will cause his teeth to build up tartar. 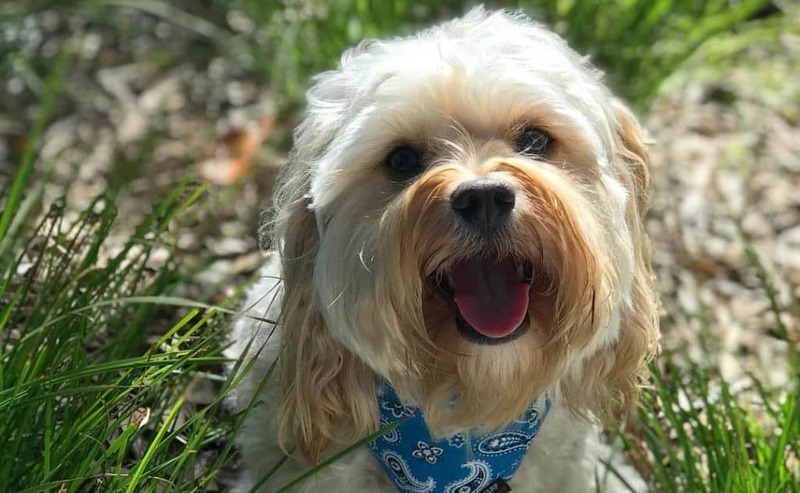 Crossbreeding helps Cavoodle pups wade off some of the common ailments that affect their parents. Once a while he may suffer bloating or have a skin reaction to vaccines. As he gets older, he may be predisposed to serious issues like dislocated kneecaps, eye cataracts or ear infections. His coat may also get infected if dander is allowed to build up. You have to be willing to put in the work if he is to remain happy. This means brushing his coat frequently with long curly hair and less frequently if he has a short wavy coat. Trim his coat when it grows to prevent bad odor from an accumulation of dander. In addition, bathe him with quality pet shampoos and conditioners. Clip his nails as well and clean his ears to prevent infections. 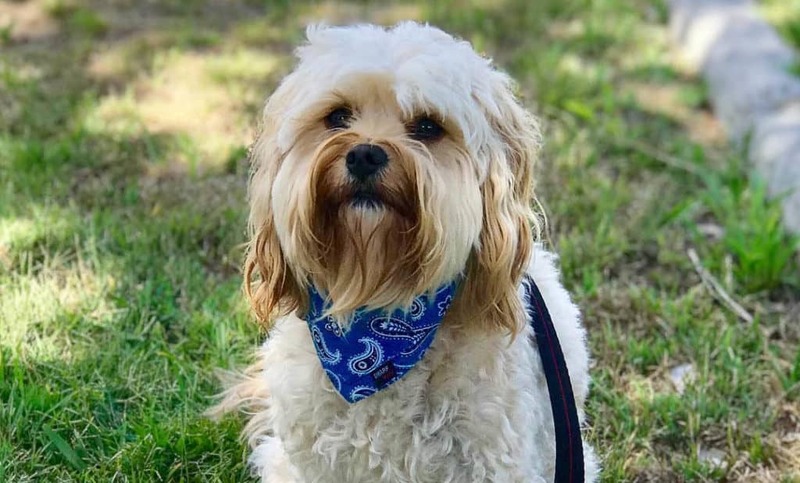 Cavapoo will always alert you to impending threats through his barks. However, he does not have the aggression of a proper guard dog. If you want a lovable companion dog that sheds less, get a Cavoodle. He not only makes you feel at home but he will also chase away any intruder. However, be ready to pamper him with plenty of exercises, good food, doggy treats, and proper grooming.